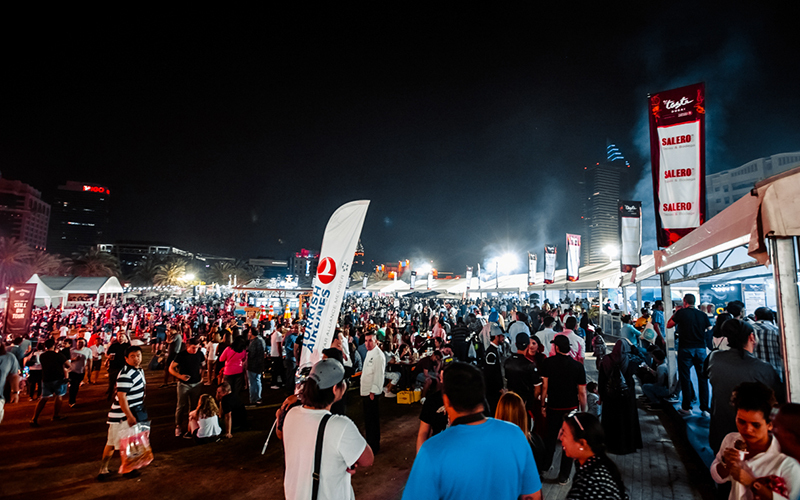 Taste of Dubai, the city’s favourite food, drink and music festival, is back for its 12th year at Dubai Media City Amphitheatre from the 7th to 9th March 2019, as part of Dubai Food Festival. 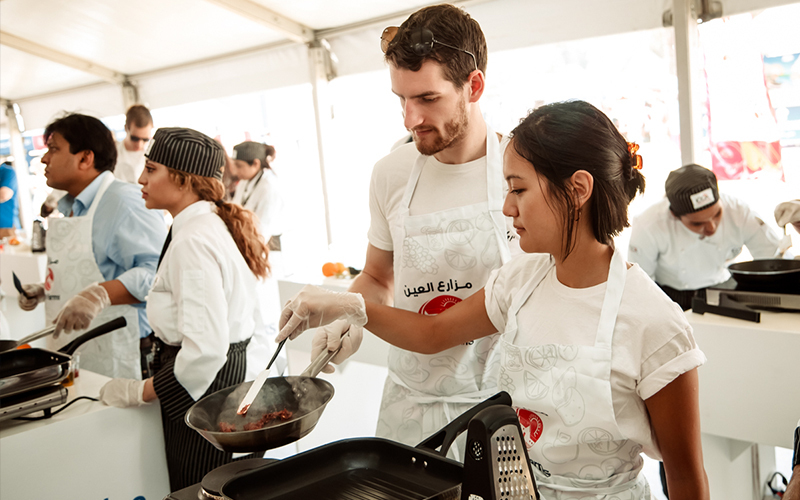 The three-day food extravaganza, held in partnership with Visit Britain and wego, offers a chance to taste 20 of the city’s best restaurant dishes, be inspired by tips and tricks from celebrity chefs, participate in live cooking demonstrations and enjoy non-stop live music throughout the weekend. This year’s lineup of international culinary talent includes MasterChef Australia’s judge Matt Preston; Michelin Star Chef David Myers; Legendary Iron Chef and Michelin Star Chef Masaharu Morimoto; Dubai’s much-loved culinary duo Nick Alvis and Scott Price; English cook and restauranteur Simon Rimmer; Meat & grilling expert Tarek Ibrahim; South African Chef Lorna Maseko; Arabic & Aleppian cuisine expert Mohammad Orfali; and the Giggling Gourmet Chef Jenny Morris. Join them as they present live cooking demonstrations at the Crate & Barrel Chefs’ Theatre, host inspiring conversations and introduce their latest culinary cooking techniques. New for 2019, Master French Pâtissier, Eric Lanlard will be running a series of baking masterclasses at the new ‘Jif Big Baking Tent’ by ICCA, where you can learn the art of cake decorating from the master himself. The much loved, foodie favourite the Al Ain Farm and Kibsons cooking challenge will be back with a jam-packed schedule of cooking classes with Taste of Dubai’s celebrity chefs for aspiring culinary cooks to participate in. For the first time in Dubai, MasterChef Australia’s Matt Preston will be jetting in to Taste of Dubai on Saturday 9th March to host a very special MasterChef, the TV Experience ‘Mystery Box Challenge’ where amateur cooks will get a chance to get their dishes judged by Matt himself. Matt will also join the judging panel at the Chefs’ Theatre as Chef Margarita from the world’s first MasterChef, the TV Experience, restaurant opening in Dubai later this year, takes to the stage. 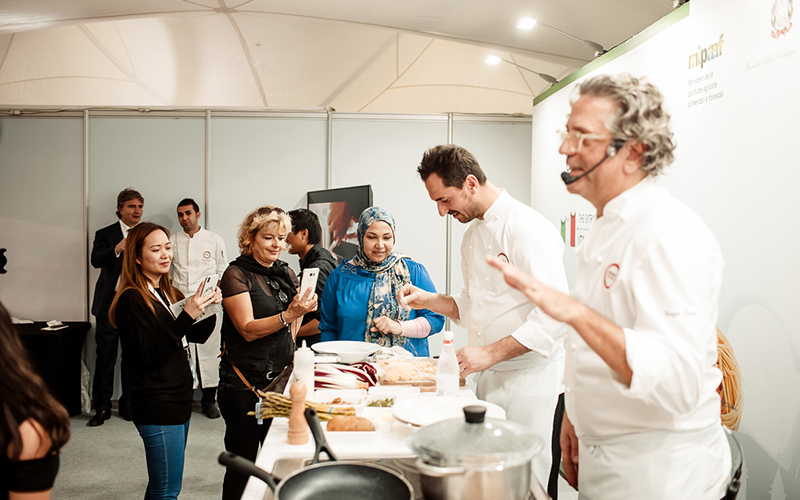 Visitors will also get the chance to taste a special menu at Taste of Dubai with a pop-up MasterChef, the TV Experience restaurant. This year’s edition will feature tastings from over 20 different restaurants including: legendary Japanese restaurant NOBU, Gordon Ramsey’s Bread Street Kitchen, gourmet Turkish food at Kaftan, contemporary South American at Andes, French bistro Couqley, authentic Southern American style food at The Blacksmith Smokehouse, traditional Spanish tapas at Seville, American classics at Dean & Deluca and classic dishes from UBK. Children under 12 years have FREE entry to Taste of Dubai and the OMO Kids’ Zone will provide a huge variety of games and attractions including face painting, food-based games and competitions for kids, and a cupcake decorating station to keep them entertained. To experience Dubai’s largest food festival in style, ensure you grab VIP tickets in advance, which provides you with fast-track entry into the festival and unlimited access to the VIP lounge and bar.